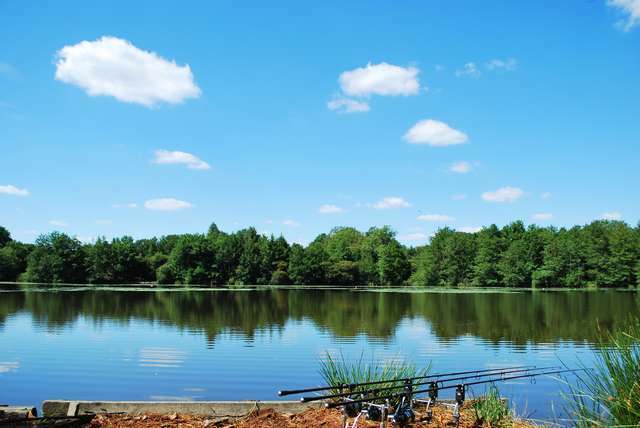 High Mill Lake: Angelurlaub in Frankreich pur! After a long relaxing journey of 10 hours we arrived in Brigueuil. A small town near Limoges. 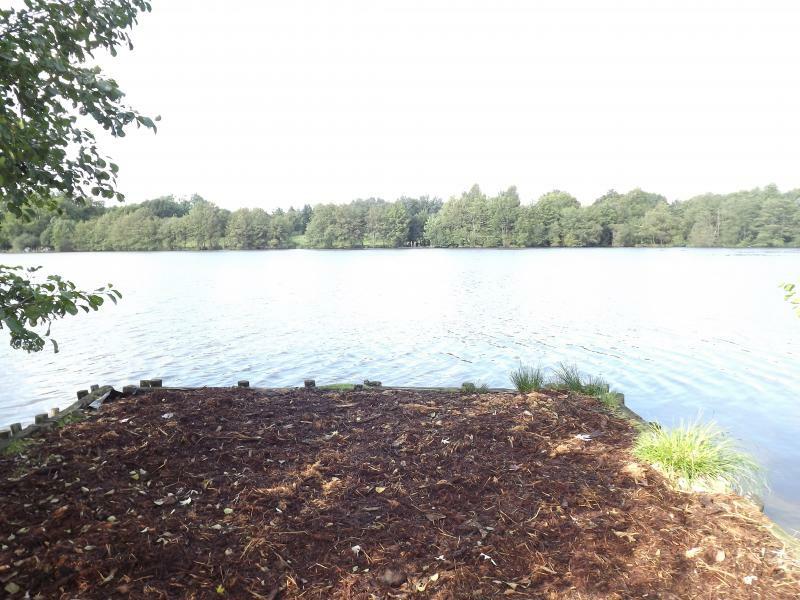 Chosen in consultation with Bas from The Carp Specialist. 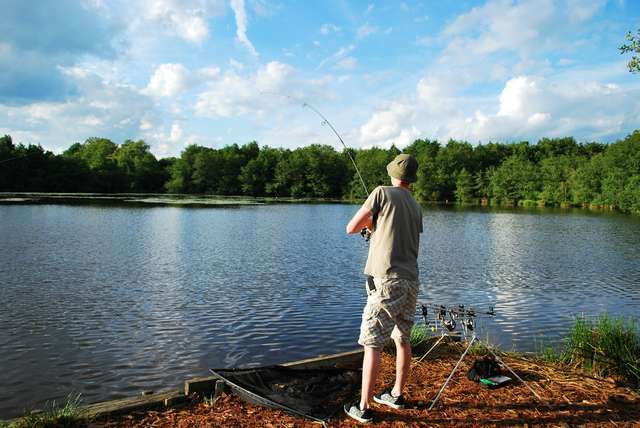 According to him, High Mill Lake really should be something for us. We are welcomed by the owners Andy and Tracey. They gave us a coffee and the attention to how the trip went. We were advised to take a different swim than we had booked. This one did not went that well on the catches. We followed their advice and our belongings were soon brought to the swim by Andy. We could start our session. The first evening directly gave two runs. One landed in the net and one we lost. That promised something good. However, we were right at a nest of wasps and the next morning we decided to ask if we could still move to another swim. That was no problem of course. Tracey and Andy helped with the switch to the other side. We would not regret this move and rebuilding everything at the new swim. After we had set up everything we could embark on an unforgettable session. When we were done everything went like a hurricane. Carola and I had agreed that we would catch every other turn. 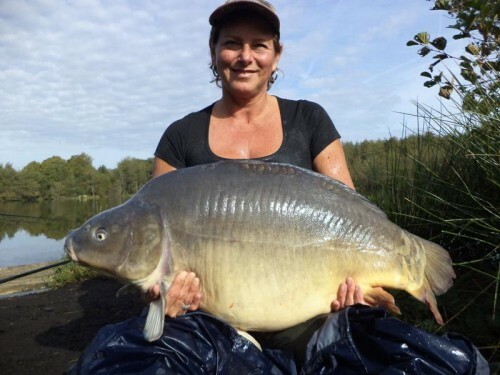 Carola immediately caught an 22,5 kg mirror. That was the beginning of her fishing in France. Too good for words. Soon right after that the next carp came into the net. Almost every hour the baitalarms went off one after the other. This just could not be true. And no little ones but in among them some big ones. The second day we had the pleasure of catching "Franky". The heaviest of the lake came on my rod. Good for 23,9 kg. My new pb. Completely in my delighted because Carola had opened the session with that 22,5 kg. Still a little rivalry among ourselves. With a large quantity of humor, of course. In the evening together we enjoyed a red wine and the tranquility of the surroundings. 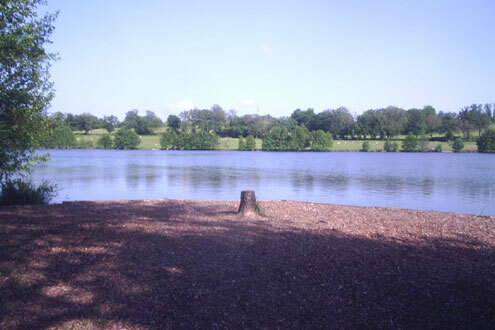 For what is it nice at High Mill Lake. Every morning and evening Tracey or Andy came over and asked how it went. What catches there were and whether we wanted to have something of the supermarket or bakery. Yes and even the repairing of a flat tire of the trailer was not that much trouble. Every morning the same ritual. Refreshing the Rods which had brought fish that night, and some fish-feeding in order to keep the fish in motion. Afterwards, enjoy a delicious baguette fresh from the bakery. Actually, every day breakfast in bed. Haha. And it would be the first and last time that during that meal we were interrupted by a huge run. Another catch again. The counting went on and on.course there were enough fish caught by other fishermen. 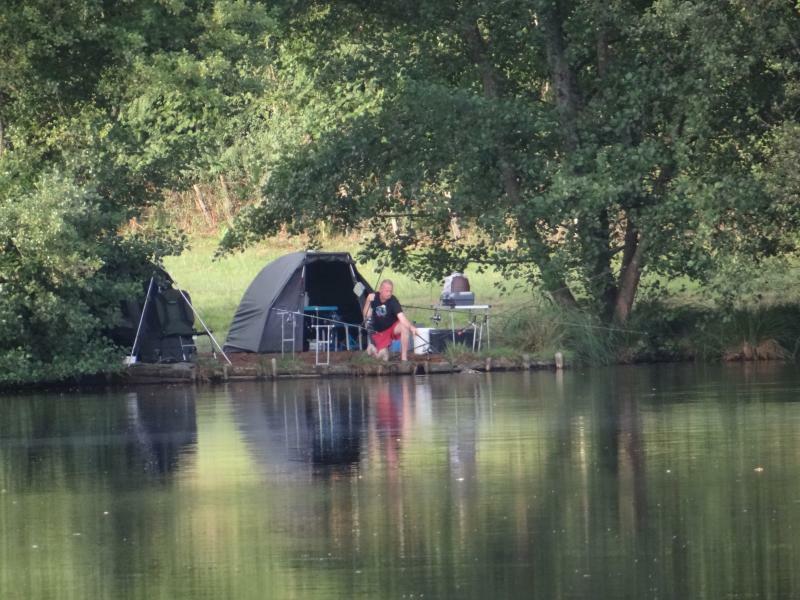 But in the way it was going at our swim was beyond all expectations and gave some questions by other fishermen. "They get one run after another",we heard someone say in the night. 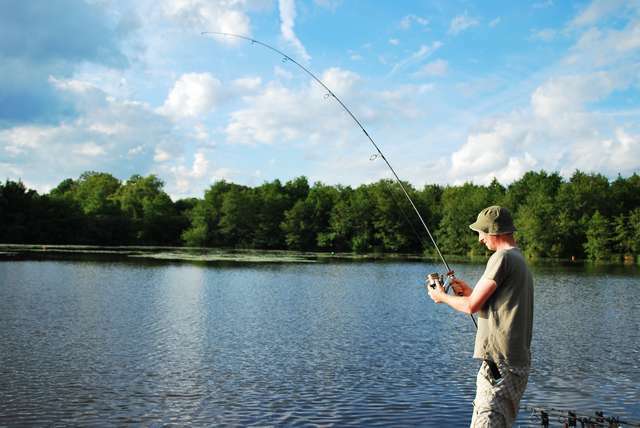 It was that quiet over there and we had the realization that this was our happiness and the our vision of Old-school carpfishing was on our hand. The sun high in the sky during the day showed us occasionally to enjoy an hour or so of the warm autumn sun. Of course, this was often interrupted by another run. Who’s turn it was we called at each other . We got super attuned. We knew from each other what to do when the other was busy with a drill. Four days after I caught my Topfish, Carola miraculously caught this fish again. Normally he came out maybe once a month. This time it was different. Franky came out after four days for the second time.! Was our bait that good.? With the necessary silliness we pelted each other with comments that Carola could obviously not have that I had the toughest. Nature helped us to let us both have the ultimate feeling. Of course we begrudged it together and we still laugh about it. 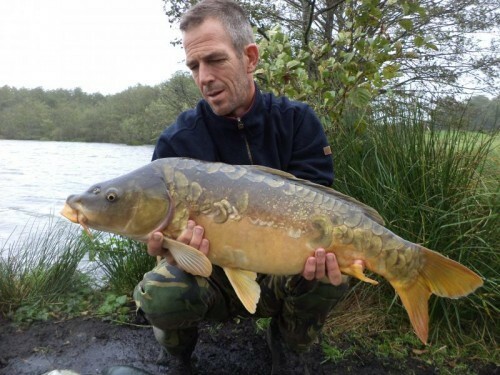 Apparently we also caught a beautiful scaly who had been never seen. It was my honor to name her.. What a nice moment. With the approval of Andy and Tracey we named her "Carola". A beauty of a fish that many anglers will make happy one day. The name of my love there to be named in France. Yeah that was the proof of how to enjoying supposed to be. A top week.! The last few days we have ourselves feasted on dinner what Tracey had prepared for us. Openly on display on the site. What more could you want.? Of course with a homemade dessert there. Dining under the stars at High Mill Lake. That is the ultimate feeling of having a vacation. Unfortunately there is an end to everything. Because we did not want to leave yet. The last night we each caught a super beautiful carp to finish. That is the moment you go to sleep with a satisfied feeling. 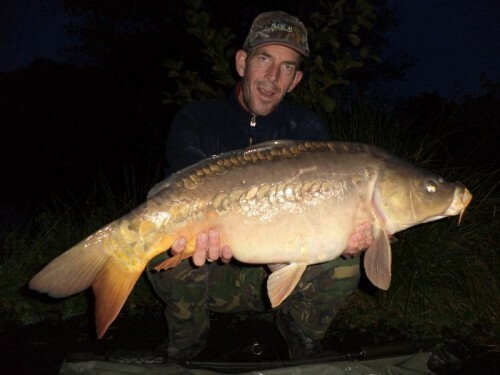 We had 70 runs and allowed us to catch 53 carp. This was super, it was top, this was never to be forgotten. Relaxed packed and everything tidy. We said farewell to Tracey and Andy. What great people they are. They have the ability to make you feel at home. Again new friends we surely want to see again. For High Mill Lake is not save from us. haha We will be back..! The next time perhaps it would not be such a monster session as we had now but we'll see and we will enjoy all the things that Etang de Brigueuil / High Mill Lake has to offer. We are grateful to Bas for appointing this lake to us. Bas Super.! And oh boy are we glad we were able to know Tracey and Andy Jones and may consider them as friends. They know how to make someone feel at home. Thank you guys for this unforgettable session. You are in our hearts forever. !